Founded as a small family company in 1988, with the goal of producing quality balled & burlap plant material for the landscape and retail nursery industry. London Landscape Nursery Inc. lined out its first material in the spring of 1989. 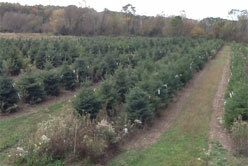 It included several varieties of spruce, pine and clump birch. Over the years several varieties of shade and ornamental trees were added to our production. In 2013 the decision was made to cease production of all shade and ornamental varieties except clump “Whitespire” and River birch. This was done so that our resources could be focused on expanding our evergreen production. 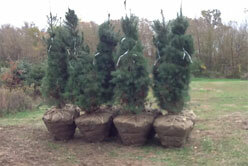 London Landscape Nursery proudly currently offers Blackhills, Colorado Blue, Norway, and Serbian spruce along with White pine in sizes from 4ft to 12ft. 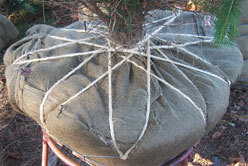 We also offer “Whitespire” and River birch clump form in sizes from 8ft to 16ft. 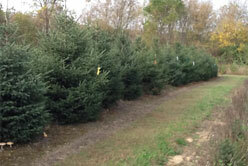 London Landscape Nursery will also begin offering Concolor and Cannen fir, Canadian hemlock and Dark Green American arborvitae in sizes starting at 4ft.